Shopping sales as an aspiring minimalist is tricky business. My style strategy for avoiding missteps: I only buy something if it sparks that "I can't wait to wear it right away" sense of joy; it complements my casual denim- and neutrals-heavy wardrobe; and it might let a worn-out staple retire. 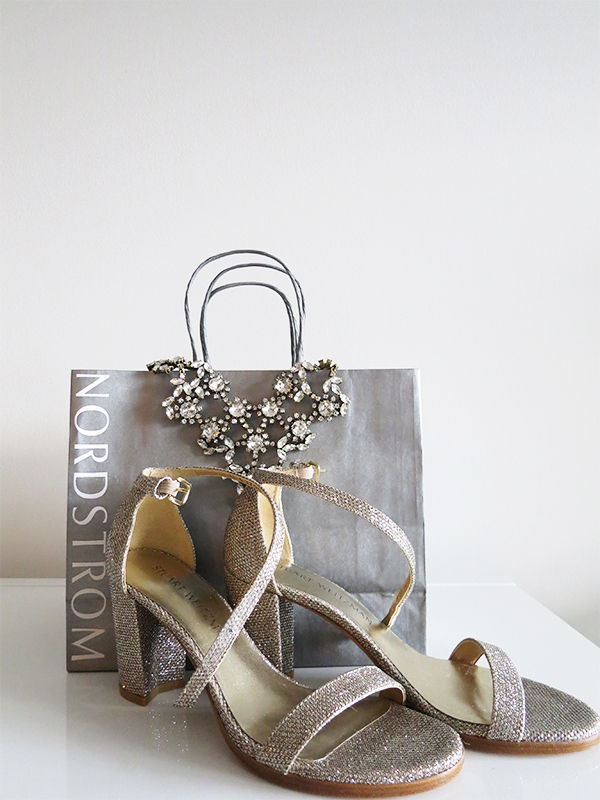 In anticipation of the major Nordstrom anniversary sale starting in just a few days, I couldn't resist peeking at the Nordstrom women's summer sale where I found plenty of pieces that ticked all the boxes. These wear-all-the-time staples will take you through summer into fall and beyond. It must be the Lazy Girl in me, but these days I live in soft tees and tanks—no ironing or drycleaning required, and perfect for layering under jackets or cardigans year-round. I tend to favour anything with a good stripe, a high enough neckline to be worn for work, or a loose, roomy cut through the waist and hips. Dresses are ideal for those sweltering days when it's too hot to even think about putting together proper outfits. The fit-and-flare Eliza J and the lacy Adrianna Papell remind me of the wear-all-the-time little white dresses in my own closet. The loose blue jersey frock looks like the perfect throw-on-and-go outfit for weekends. For something office-appropriate, I like the look of the Equipment blue ikat silk shirtdress and the fluid ease of the DKNY grey dress. In a minimalist wardrobe, skinny white jeans, a pair of perfect denim shorts, and a utility jacket will take you far. Slip-on, menswear-inspired shoes and cognac-coloured flat leather sandals will go with everything, as will a crossbody saddle bag or a carryall leather tote or a minimalist watch. And finally, a light scarf for those unexpectedly chilly evenings on the beach or at the park. The weather in Vancouver has been more June-uary than proper summer sunshine, so I've been spending many a weekend afternoon curled up indoors. All that Netflix-and-couch time has made me appreciate cozy and cute loungewear.